With the extensive expansion of the market in the country, many top International production houses have been releasing their films in regional languages like Telugu, Tamil and Malayalam along with Hindi. James Bond, Superman, Spiderman, and Batman are some of the famous franchises that have been minting huge money across the country. 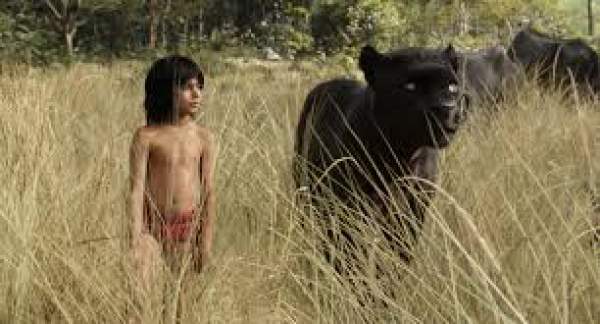 The previous generation of youngsters are quite aware of The Jungle Book which was initially a collection of stories. English author Rudyard Kipling published them as magazines during 1893-94. Then it has been published as a single book changing many hands after which it has been finally directed into a tv series. It has been telecasted all over the world and in India, it has been telecasted on Doordarshan on Sundays which was widely popular during the late 90s. With no internet and other channels, the kids across the country have been widely impressed with the tv series of TheJungleBook. Now after many years, it has been transformed into a movie named TJB, and the film has been directed by Jon Favreau. The makers have taken more than 2 years to wrap up the pre-production work of the movie. Bill Murray, Ben Kingsley, Idris Elba, Lupita Nyong’o, Scarlett Johnson, Giancarlo Esposito, Christopher Walken and Neel Sethi are top actors in Hollywood and they have lent their voice for the English version of the movie. The JungleBook had terrific craze across the world, and the film’s theatrical trailer impressed the audience big time. The makers made sure that they promoted the film well before the release which helped the movie get stupendous openings. The movie released all over the world on April 8th in a record number of screens and as expected the film received a stupendous response from the audience. The movie surprised the trade experts as it collected Rs 10.09 crores on its first day and with huge positive word of mouth, the collections went on increasing. The movie made Rs 13.51 crores and Rs 16.87 crores on Saturday and Sunday making the first weekend total cross Rs 40 crore mark. The buzz was even strong on a first weekday and The Jungle Book collected Rs 7.60 crores which have been outstanding. The movie maintained strength, and it collected Rs 7.34 crores making the five days total reach 55.42 crores across the country in all the released languages. The JungleBook is expected to mint huge money in its final run.